← Thibaut Cuisset : landscape photography as a praise to slowness. When landscape photography becomes a political statement. 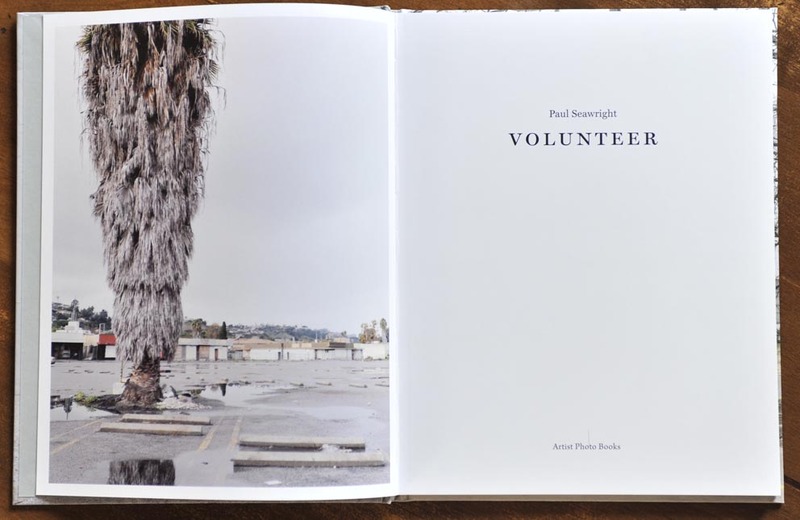 Volunteer by Paul Seawright. At a first glance « Volunteer » is not a very attractive book. It is as much exciting as a walk in a commercial estate in the suburb of a modern city. When you first read it, it goes pretty fast from a page to another, and the book is finished before you really understand its purpose, but the pictures have started to enter your mind and therefore, you come back to the book, and look at it again, slower, then again and again and you start to become obsessed, trying to understand the sequencing, to find some recognition elements, but in vain. The photographs depict boredom with a very high aesthetics value. All the photographs are done with a large format camera and therefore perfectly composed and organised. The places shown could also be a collection of urban planning failures. Not many human beings found there, and when we find one, he seems to be completely out of scale in the environment, lost in the middle of nowhere. 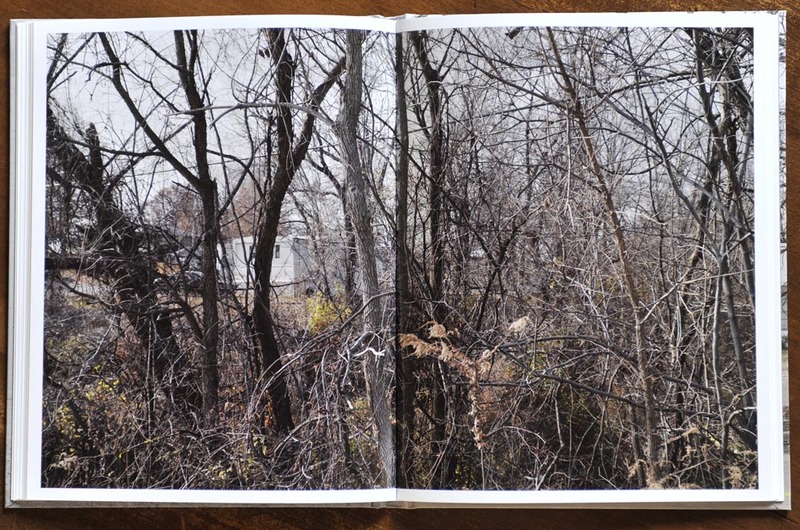 We cannot avoid, with « Volunteer », to have in mind the « New Topographics, photographs of a man-altered landscape ». The photographs here are the following of the seventies story. 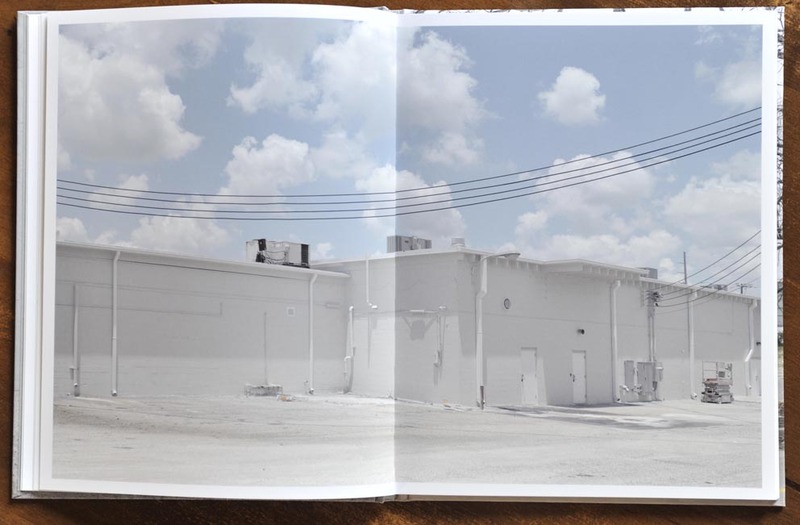 With Robert Adams and Lewis Baltz, we discovered the mutation of the american civilazation ; with paul Seawright, we discover the « accomplishment » of the mutation. 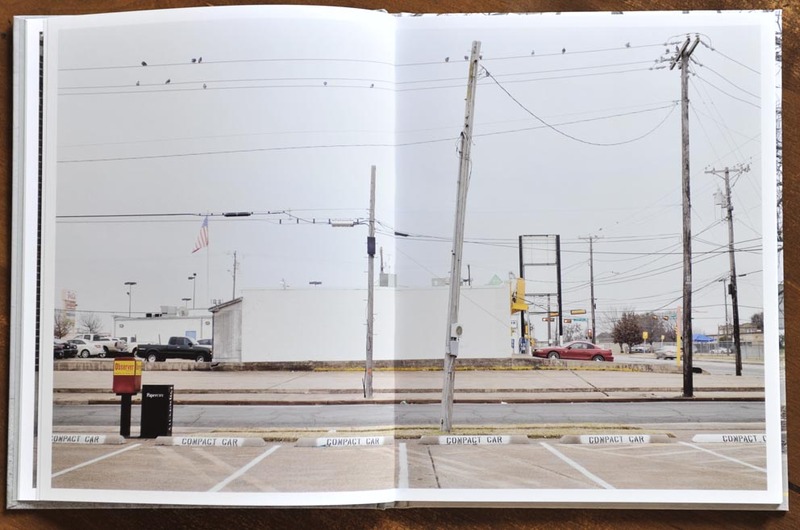 His photographs emphasizes the absurdity of the zoning system : an area where to work, an area where to sleep, an area where to do shopping, and between each of them, the citizens have to use their cars. 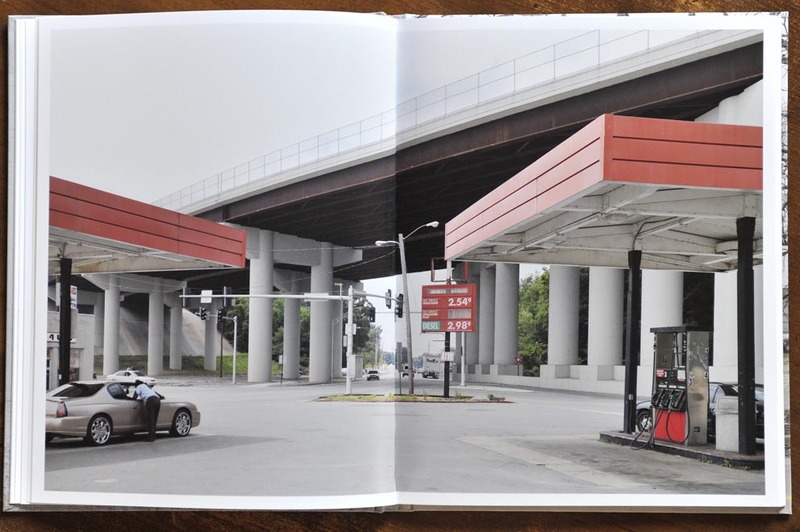 This is one of the reason of the omnipresence of parking lots (another reference to the 60’s with Ed Ruscha). 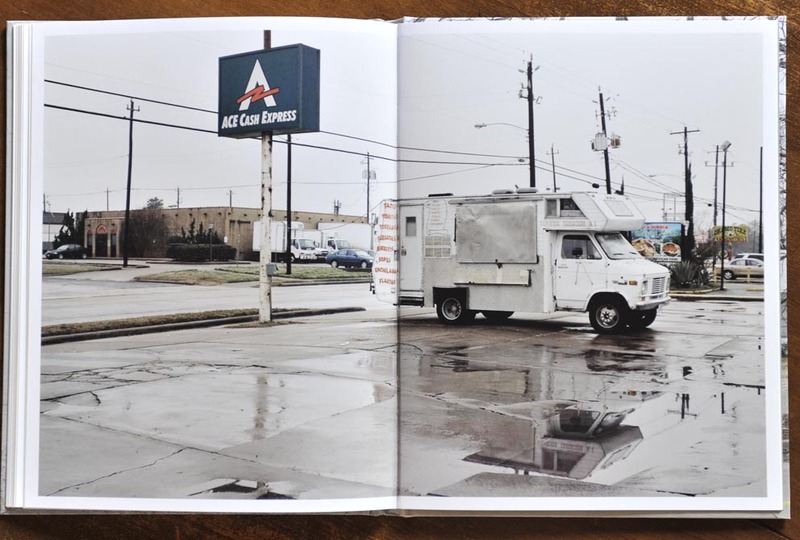 The cover picture of the book gives the trend : a grey floor and a grey wall, yellow parking lines, a black puddle of leaking oil and a few wastes. It becomes the symbolisation of our contemporary society, concrete for construction, oil for energy, and wastes from consumption. 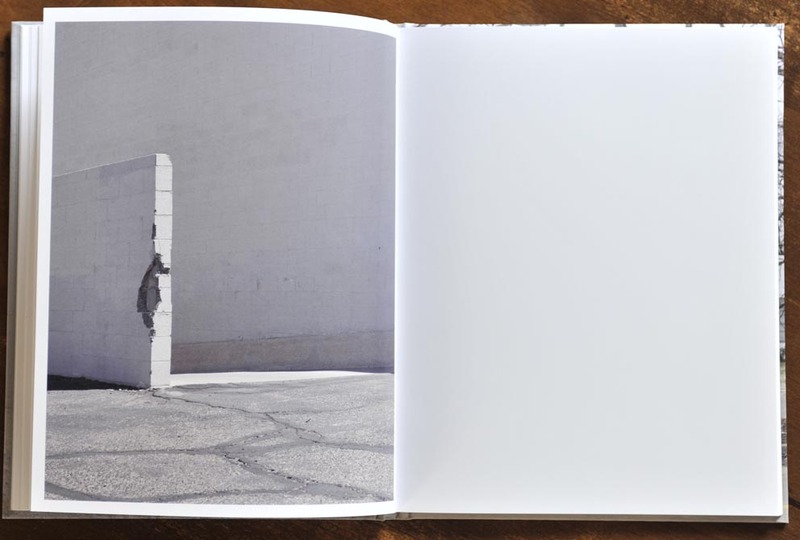 The only vegetation that appears in the book are almost dead trees, grey grass (this is the main color of the book) or often behind a fence in a « restricted » area. Another caracteristic of the photographs is the absence of horizon, which is another metaphor of the lack of future for the population living in those areas. 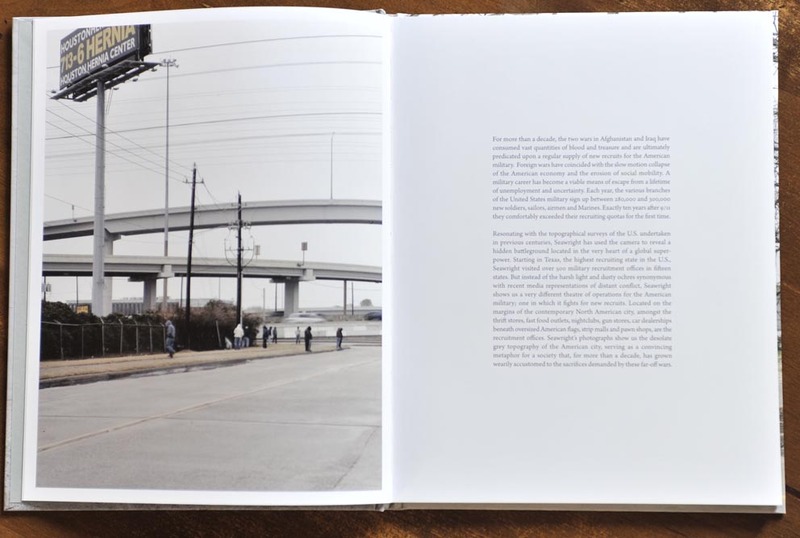 Well, at this point, you start to know what photographs you may expect to find in the book, but I have not talked yet about the main aspect of the book. Paul Seawright is a Northern Irish photographer who has always felt concerned by political situation of a place or a country. This is his main entry key to a subject. 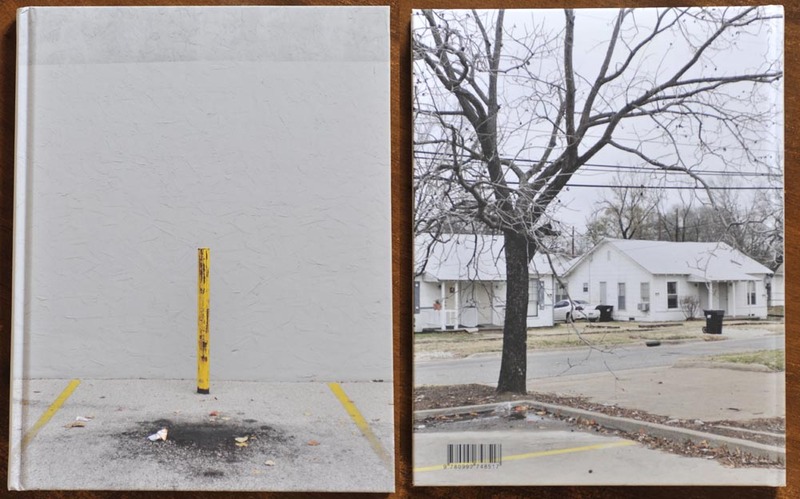 This piece of work is no exception : all the photographs have been shot (used with a dual signification) around American military recruitment offices, starting in Texas. Under this light, the book becomes a survey on the American strategy to recruit young people who are sent to war, in Iraq or Afghanistan. It becomes obvious that people living around there have no expectations, no hope, no issues, no works and then, no alternative (we are not so far from TINA from Margaret Thatcher) but to go to the war. The last picture confirm this « no alternative » with a closed door, pointed by two arrows : you have to go through the door without really knowing what is awaiting you behind. 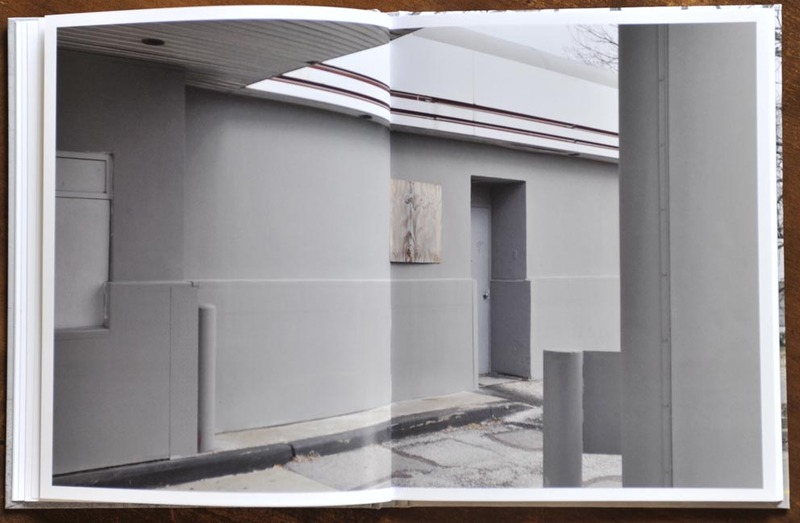 Those suburbs are the same that have been depicted during the subprimes crisis ; houses have been sold, people have left, these are photographs of an aftermath of capitalism crisis, the collateral damages of war. For me, this book reaches a kind of perfection, combining two of my favorite topics. First what I call the « in betwwen » places which are made of areas without any supposed interest, but which remain part of our society, all those areas where nobody wants to go if they are not obliged to, places we go through, and don’t even have a look for. The second aspect is the « concerned » dimension which enlightens a failure of our society who have clearly left apart a minority majority of poor people. 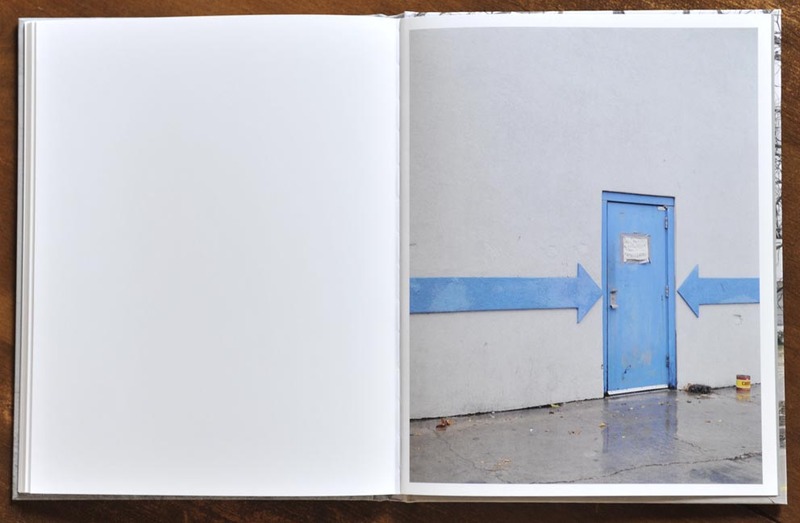 The book is hardcover, 21,5 x 27,5 cm, 64 pages, 31 photos, text editing by Ian Bamford. 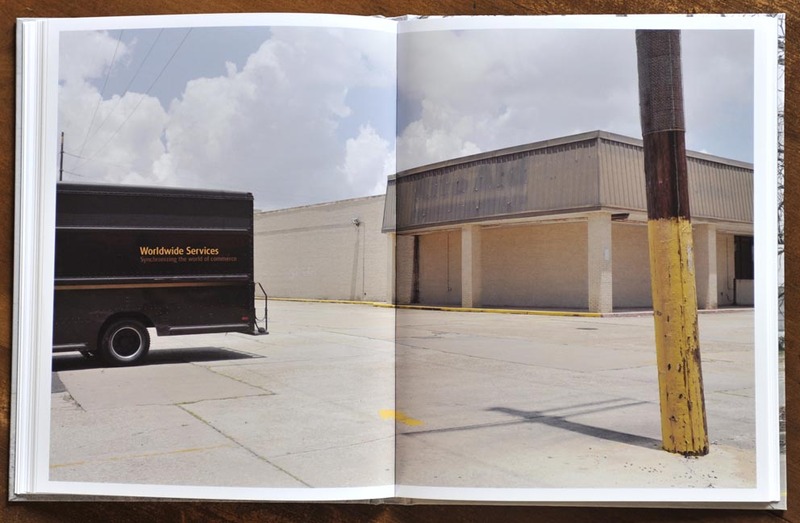 All images copyright Paul Seawright and Artist Photo Books, can be removed on request. Volunteer seems like a delicious publication, meticulous and clear-headed. Thank you for your kind words Leo! I have it and I love it. Paul’s work is quite interesting in its ways of showing us things.